Magðalena is named after Mary Magdalene, the legend and saint that Jesus cured of seven evil spirits during his brief stint as an exorcist, sometime around 32 AD. 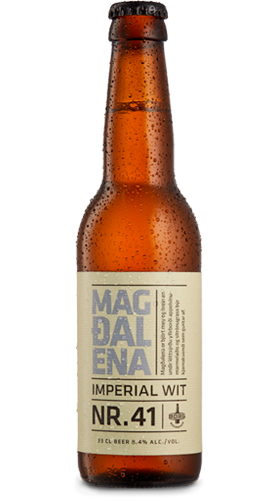 Magðalena is a slightly sour Belgian style Imperial Witbier brewed with orange marmalade, lemongrass and coriander. A real testament to creativity, dedication and damn good beer.